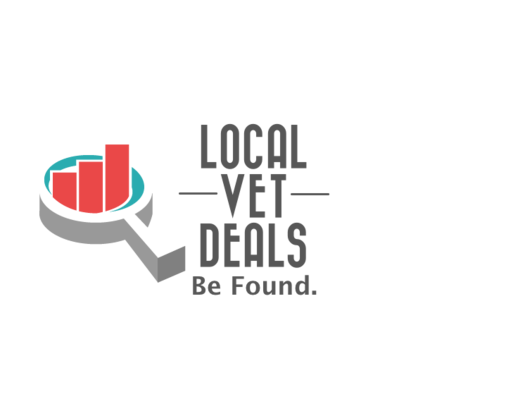 We Help Veterinary Practices New Get Clients. Period. 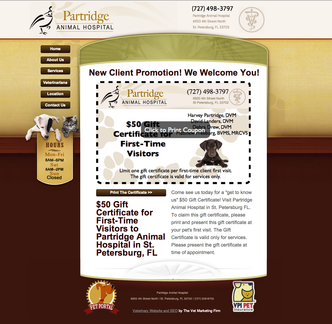 We create landing pages that we syndicate on the Internet with specials and promotions that drive new clients into the door. We charge a small management fee to optimize your promotions. 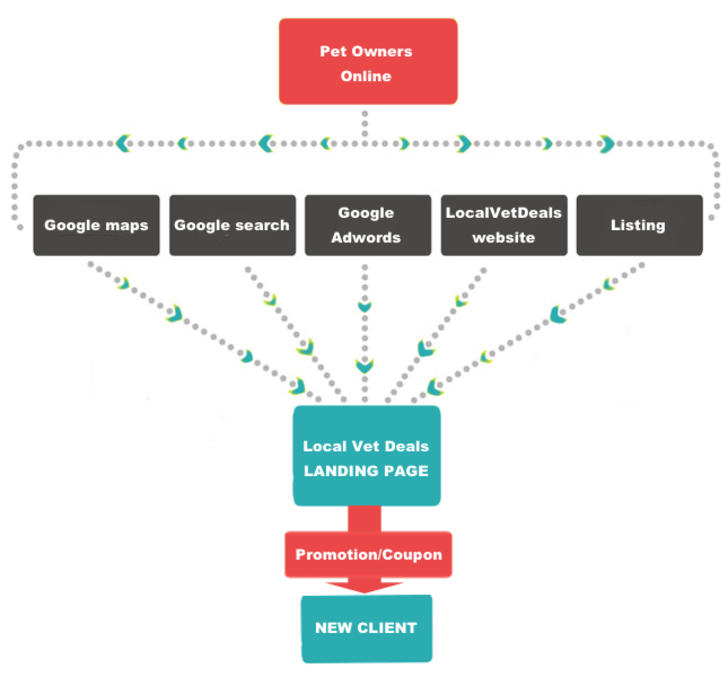 You have control over how many new clients you want through your ad budget. You pay a flat fee whether you have 100 clients coming in a month or 25. There is no $50 per new client like other services. We design marketing materials that match your own and do all the hosting so you don't have to deal with your website provider at all. All your online advertising for a flat rate. 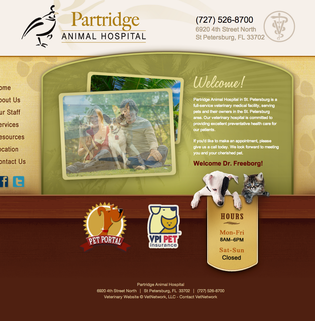 We do the design, the marketing, and convert pet owners to new clients to your local veterinary practice.